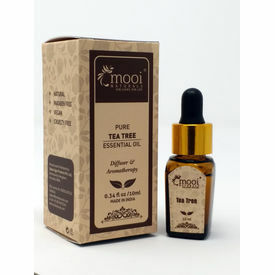 Tea Tree Essential Oil is extracted through steam distillation of twigs and leaves of Tea Tree, which has the botanical name Melaleuca Alternifolia. The tea tree is native to Southeast Queensland and New South Wales, in Australia.The magical healing and disinfectant properties make it a wonder drug that also boosts your immunity. 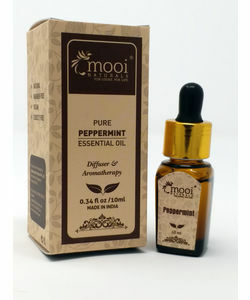 On Skin: With its antiseptic,anti-microbial and anti-viral properties,Tea tree oil works incredible on skin and is used to treat cuts, heals acne & wounds,skin burns and other skin disorders.Tea tree oil is a natural alternative for curing acne and is an excellent skin treatment especially for oily and acne prone skin. Tea tree oil is also a good cure for dry skin with keeping skin soft, supple and hydrated for longer time. 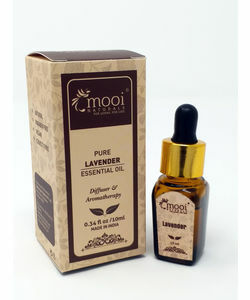 On Hair: Treats Dandruff and Hair loss.Applying a diluted amount of tea tree essential oil to the scalp stimulates blood flow,helping hair follicles stay healthy and strengthens the hair roots.Helps to maintain clean scalp,keeps it moisturized and reduces the amount of dandruff and dry skin! On Mind: Tea Tree oil in the diffuser can help clean the air in the home and is a wonderful immune system support. Tea Tree Essential Oil is extracted through steam distillation of twigs and leaves of Tea Tree, which has the botanical name Melaleuca Alternifolia. The tea tree is native to Southeast Queensland and New South Wales, in Australia.The magical healing and disinfectant properties make it a wonder drug that also boosts your immunity. Mind,Body & Sprit: On Skin: With its antiseptic,anti-microbial and anti-viral properties,Tea tree oil works incredible on skin and is used to treat cuts, heals acne & wounds,skin burns and other skin disorders.Tea tree oil is a natural alternative for curing acne and is an excellent skin treatment especially for oily and acne prone skin. Tea tree oil is also a good cure for dry skin with keeping skin soft, supple and hydrated for longer time. On Hair: Treats Dandruff and Hair loss.Applying a diluted amount of tea tree essential oil to the scalp stimulates blood flow,helping hair follicles stay healthy and strengthens the hair roots.Helps to maintain clean scalp,keeps it moisturized and reduces the amount of dandruff and dry skin! On Mind: Tea Tree oil in the diffuser can help clean the air in the home and is a wonderful immune system support. 100% Pure, Steam Distilled Oil extracted from the leaves and twigs of Melaleuca alternifolia.